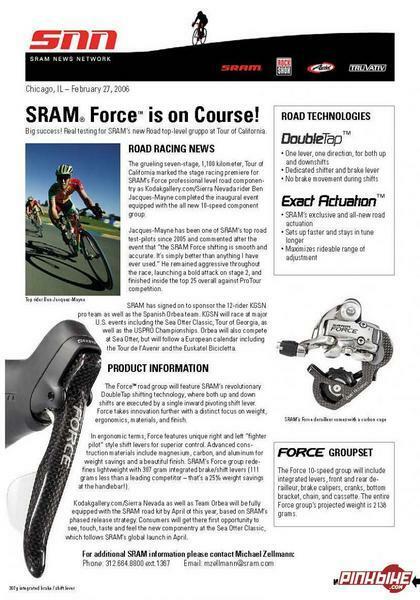 SRAM road group is finally officially announced after the Eurobike show. Average weight is claimed to be 2138gr, it’s half way between the Dura-Ace weighting 2181gr and the Record that weights 2039gr. The strength of the groupset, furthermore being a decent alternative to Italian or Japonese group is the 1:1 shifter ratio specific to the American brand. Shifter functioning is explained in this old article.